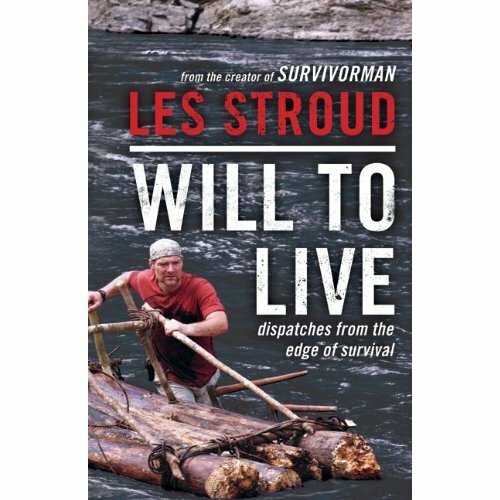 I recently had the opportunity to read Les Stroud’s new book, Will to Live: Dispatches from the Edge of Survival . I have to admit something here–I had no idea who Les Stroud was before getting the book. Serious. We don’t watch TV much here, so I didn’t know he was “Survivorman” until the book publicist told me and even then I didn’t know what that meant. I know, maybe it’s crazy for a preparedness blogger to not know anything about Survivorman, but really, we don’t watch much TV, so Survivorman and Les Stroud are not household names around here. Now that you know where I was coming from reading this book, we’ll get back to the review of the book. :) And in case you also don’t have a clue who he is, here’s a brief summary. Yossi Ghinsberg who survived a harrowing ordeal alone in the Amazon jungle in Bolivia. Nando Parrado who was one of the survivors of a Uruguayan rugby team’s plane crash in the Andes Mountains. The Robertson Family who, traveling around the world by boat, had to survive at sea in a raft and a dinghy when their boat sank. Chris McCandless, the subject of the book and movie Into the Wild, who wanted to escape society in the Alaskan wilderness. James and Jennifer Stolpa, who with their 5 month old son got stranded in a snowstorm on their way to a funeral. The 1913 ill-fated voyage of the Karluk to the Arctic. And Douglas Mawson‘s three month survival ordeal in the Antarctic in 1912. 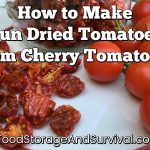 Throughout the stories, Stroud also adds practical tips for surviving similar situations from how to put unknown plants through an edibility test, to information on altitude and sea sickness, to tips for winter driving and preventing snowblindness. Each of these stories was fascinating to read and analyze as each presented its own unique circumstances that had to be endured and overcome. Every other chapter was an anecdote from Mr. Stroud’s life–usually somehow related to the survival story that was just presented. These were interesting, although not to the level of the other stories. They did bring out some important ideas and specific knowledge about certain “survival” situations, like working with group dynamics and not to practice your cow elk call during elk mating season. Although not entirely necessary to the book (I sometimes wanted to just skip to the next story), these chapters were short and gave insight into the expertise and experience of the author which was good for the few in the world who are generally unacquainted with Mr. Stroud’s work like myself. The book was written well, quick and easy to read, and provided information useful enough to possibly save your life in a survival situation. Really not sure I would have thought to make snowshoes out of my car seat cushions before. I’m passing it on to my 11 year old son to read next. I think he’ll really enjoy it as well. Definitely worth reading, Will to Live is available for pre-order now and will be generally available February 1st.